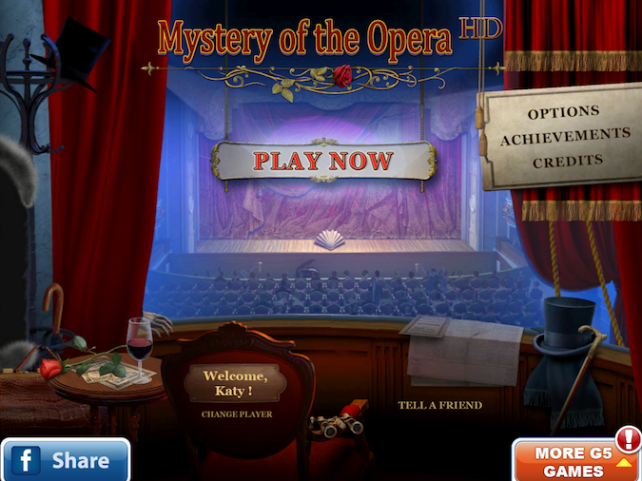 Mystery of the Opera HD (Free) by G5 Entertainment is a hidden object game that bears a close resemblance to “The Phantom Of The Opera.” Christine has been kidnapped by a cloaked villain who is capable of using magic. You play the role of her fiancé, Edwin, as he struggles to find her. 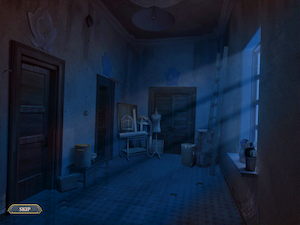 You’ll have to hunt down objects and solve puzzles before you can rescue Christine. 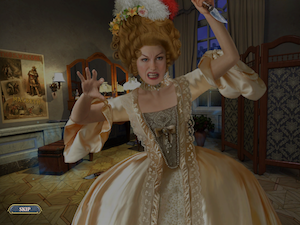 The story begins as Christine is finishing her debut opera performance. 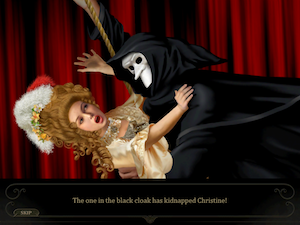 From nowhere, a stranger wearing a mask and a cloak sweeps across the stage and carries Christine off. In the confusion, Edwin is pushed outside with the other patrons. When the madness dies down, he speaks to an old prop man. The man warns him that dark magic is at work here. 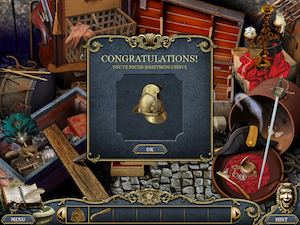 Edwin must now begin to solve puzzles and hunt for objects in order to find Christine. There are a few different layers of puzzles that are at work in this app. 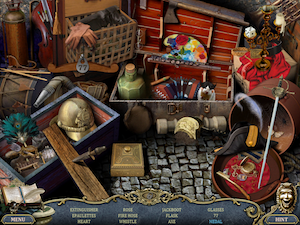 On the surface, the main puzzles are the hidden object scenes where there’s a list of things for you to find. There are also other brainteasers that you need to solve to open doors. On a deeper level, there are obstacles that you need to overcome like finding missing parts to tools, fixing broken objects, or getting past guards. The app is definitely made for adults and older teens. It’s not an issue of content. The puzzles are so complex that a younger audience wouldn’t appreciate or enjoy them. As an adult, I had to keep using hints to figure out where to go or what I needed to do. Luckily, you don’t have a set limit of hints. You can use as many as you need. I play many of these games. I enjoy the puzzles, but they aren’t as intuitive as I would like. Sometimes, I would use a hint and think, “Really? I was supposed to come up with that on my own?” So, if you get stuck, just be glad that you have unlimited hints. This app allows you to try it out for free, but to finish the game, you have to unlock it. You can unlock it through an in-app purchase that costs $4.99. Aside from some wacky puzzle solutions, the game was definitely entertaining. 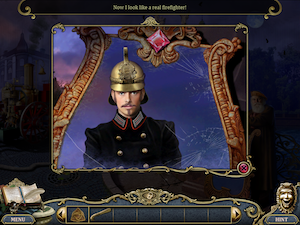 The graphics are beautiful, and the storyline is engaging. Even though the plot is modeled after “The Phantom Of The Opera,” it’s not a ripoff. It has enough of its own plot to be fresh and fun. Mystery Of The Opera is an iPad app, and it’s available in the App Store for FREE!